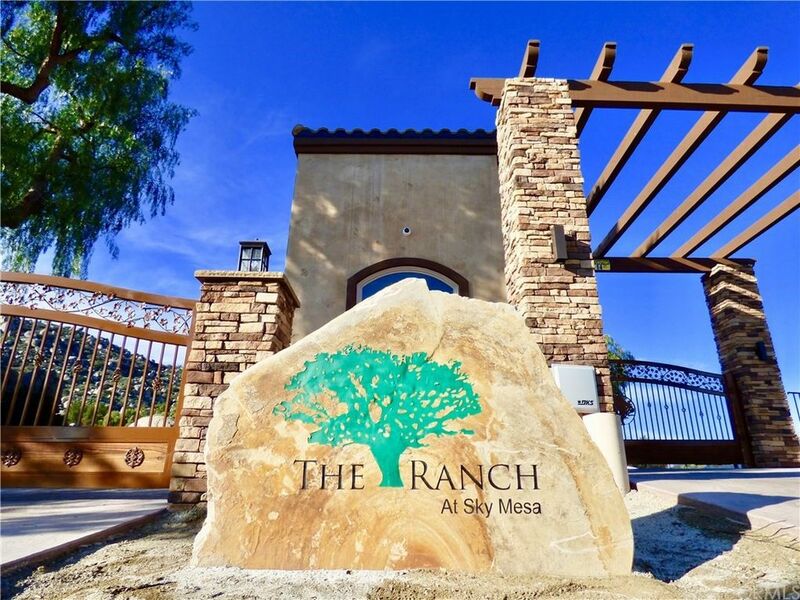 Two FIVE (5)+ Acre Lots with Certified/Engineered pads in the Private, gated community of THE RANCH of SKY MESA Lot 21, Tract 1 - APN# 429-290-040 & Lot 9, Tract 1 - APN# 429-320-015. Five hundred acre, 77 lot community.Minimum five acre lots. Minimum 2800+ sq. ft. homes with 3+ car garages. 2500+ ft. elevation affords spectacular, panoramic views, privacy, security, and peace and quiet. Four horses allowed per lot. Twelve acre common area with riding arena. All utilities underground in private repaved streets. Propane & septic tank area. New project for the community underway is the new Guard Gate at the front entrance. N. gate off Nuevo Rd and the Main S. gate off Juniper Flats Rd have high-tech security cameras and security service patrols. No mobile homes allowed. This two parcel package is offered as a opportunity for the builder/investors. Engineered/certified pads have eliminated the unknowns. Lots are also being offered separately.